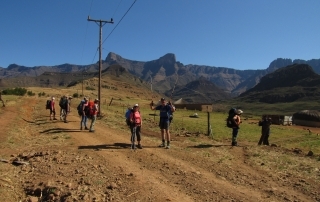 Welcome to Drakensberg Hiker, home of the best guided Drakensberg Hikes in South Africa! 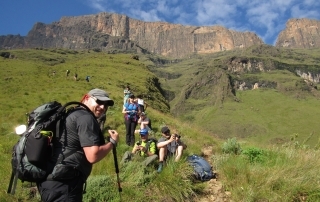 My name is Ian Shooter and I love to offer guided Drakensberg Hikes in South Africa. 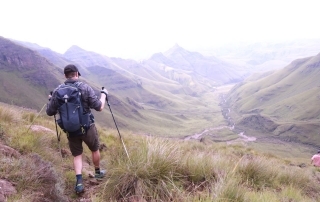 I was born and raised in KwaZulu-Natal, South Africa, and would love to share my passion and years of hiking in the stunning Drakensberg Mountains of KwaZulu-Natal, South Africa with you. 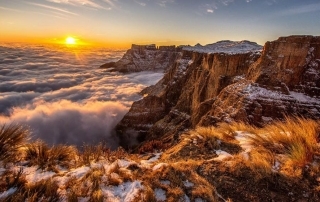 I believe that no one can show off a country better than a local! 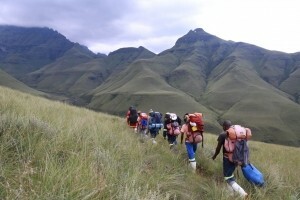 «Let’s go HIKING in the Drakensberg»! 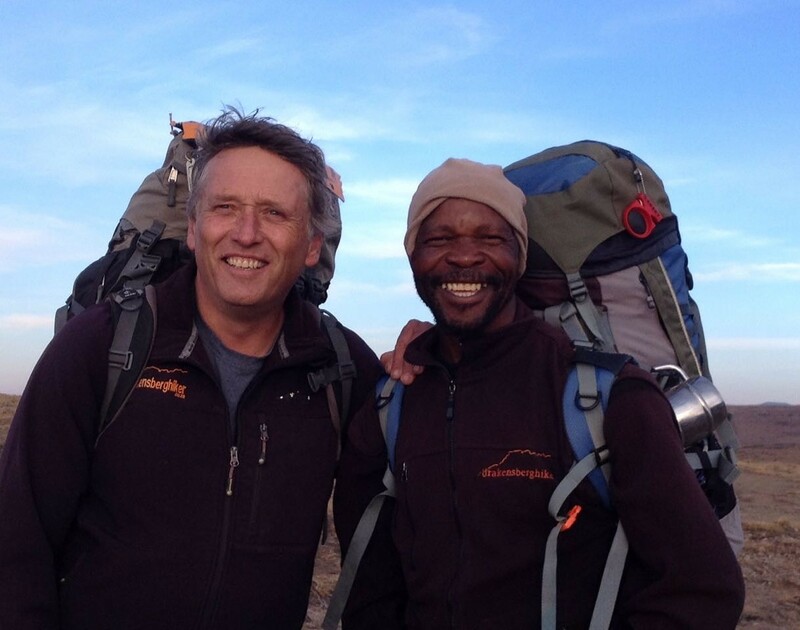 So … what can Drakensberg Hiker do for me? 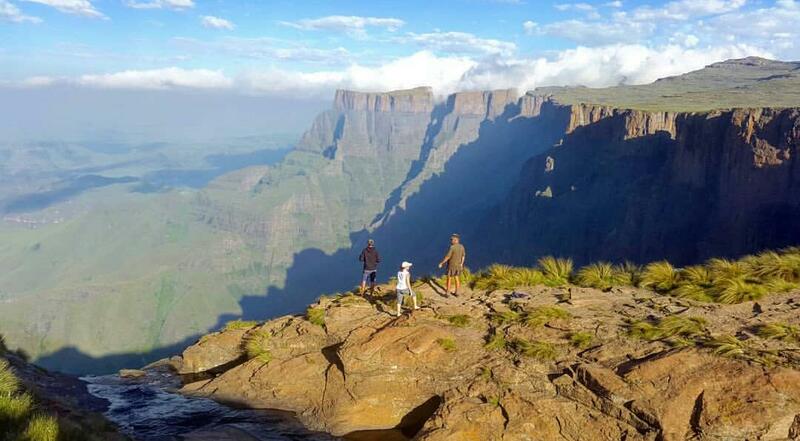 Drakensberg Hiker offers adventure, camping, trekking and guided Drakensberg hiking holiday opportunities to all, young and old, families, couples and single travelers. 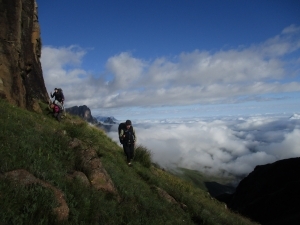 Best of all, the Drakensberg Hikes we offer are either partially or fully portered! 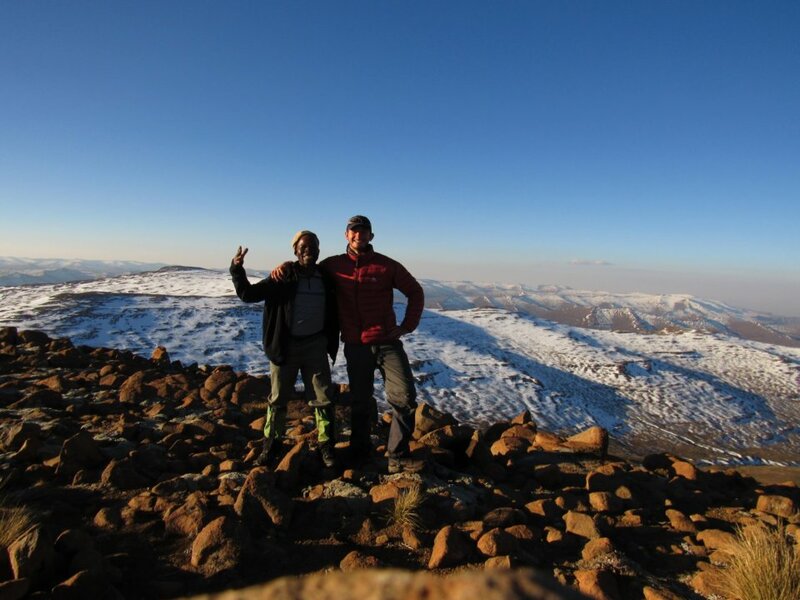 How fit do must I be to Hike with Drakensberg Hiker, and how long are your hikes? 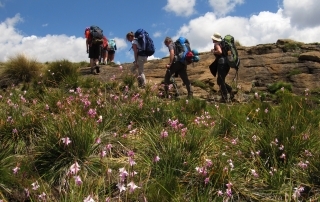 All of our Drakensberg Hiking tours are: guided, portered and catered for your comfort and convenience. 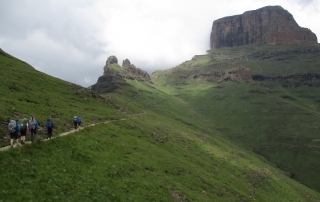 Check out our Planned Drakensberg Hikes Here! 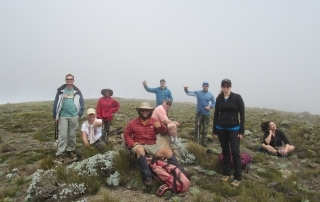 Our hiking tours are the Best in South Africa. 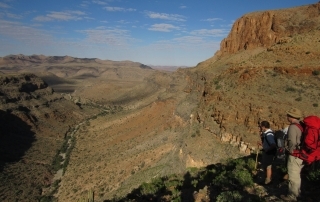 Where can I hike in South Africa? 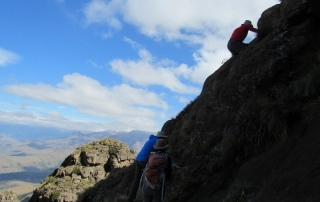 We specialize in offering the best hiking in the Drakensberg Mountains of KwaZulu-Natal, South Africa and our neighboring country, Lesotho. 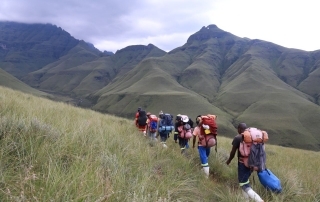 KwaZulu-Natal is our home and this makes us ideally situated to offer you the very best guided, portered and catered hikes in the Drakensberg and Lesotho. 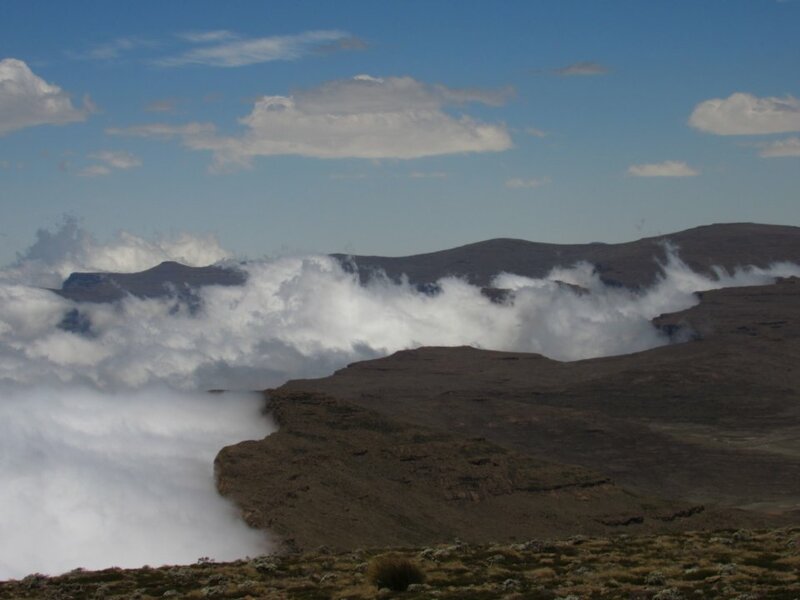 We can also arrange 4×4 tours of Lesotho including Sani Pass, and love to fit in a little Fly fishing. Drakensberg Hiker works closely with our sister company, Southern Africa Overland. 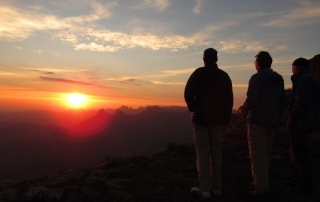 This means we can arrange an overland tour of Southern Africa for you. 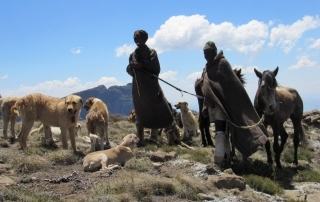 Our overland tours of Southern Africa take us to Botswana, Lesotho, Namibia, Zambia and Zimbabwe. 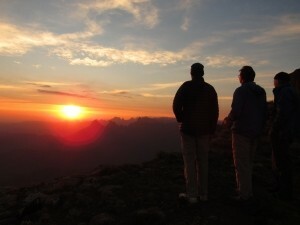 An overland 4×4 tour of Southern Africa is a great way to finish off a beautiful Drakensberg hike! 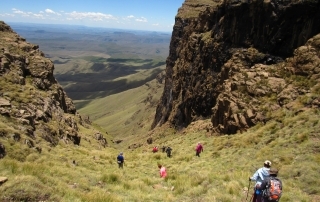 Lesotho is a convenient and close country to visit after a refreshing hike in the Drakensberg! 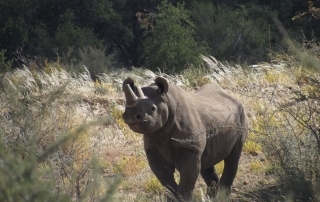 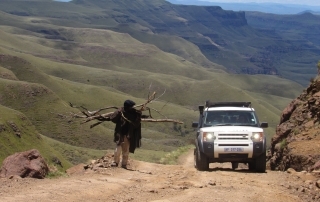 Have a look at the overland 4×4 tours of Lesotho that we offer here. 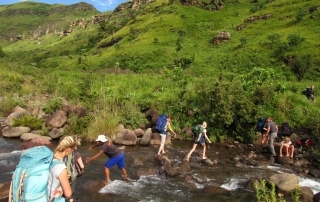 Therefore we invite you to add any of these options on to your hike in the Drakensberg. Imagine going on a beautiful relaxing hike in the Drakensberg, and then enjoying a wilderness trail or a 4×4 overland tour of Southern Africa, or going up Sani Pass to the highest pub in Africa. 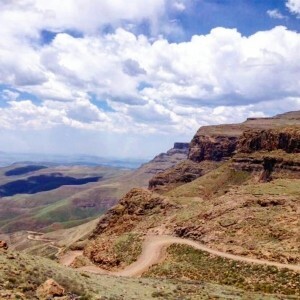 Sani Pass is the only road access to Lesotho from KwaZulu-Natal. 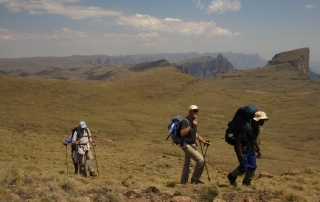 Do you provide extra services on your Guided Hikes in the Drakensberg Tours? 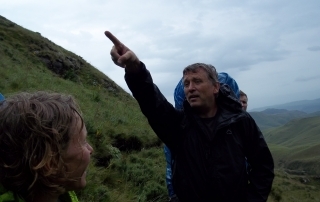 If you would like to join us for a hike but don’t see one scheduled for a suitable date, be sure to let us know. 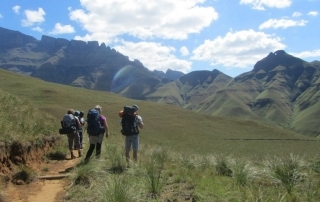 All our hikes are listed on our Popular Drakensberg Hikes p age with contact forms. 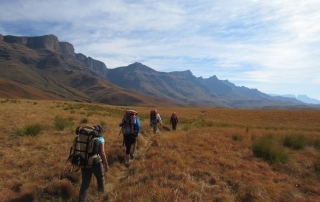 There are a number of guided, portered and catered Drakensberg hikes in South Africa scheduled in the next few months. 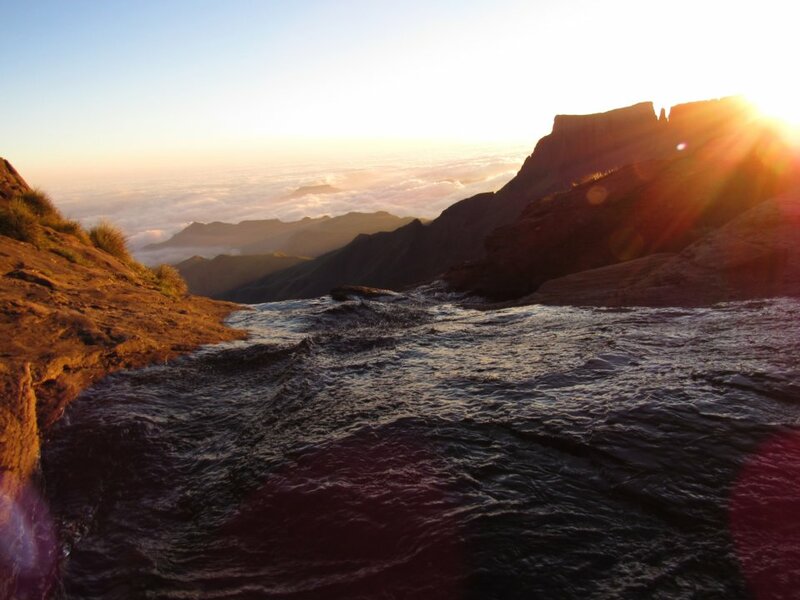 Please check out our Scheduled Hikes page and let us know if you would like to join us on any of these Drakensberg Hikes. 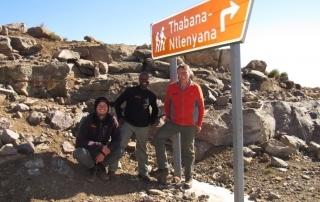 For those who have ‘done the Drakensberg’ and are after a challenging hike, we also do guided hikes of the Naukluft in Namibia! 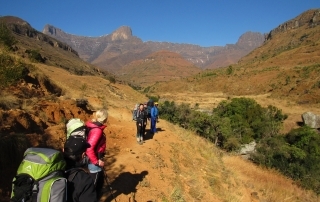 Please use our contact form to tell us more about what you’re interested in and we will get back to you with the best hiking holiday options in South Africa! 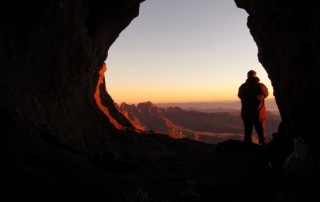 What makes Drakensberg Hiker special? 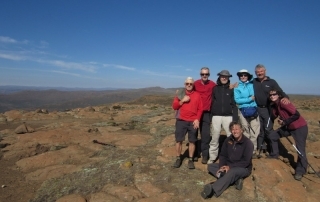 Travelling with Drakensberg Hiker means enjoying the friendship, fun and adventure we bring to all of our Drakensberg Hikes. 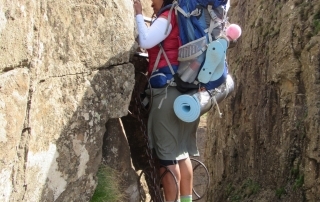 It also gives you the comfort and security that hiking with an experienced team brings! 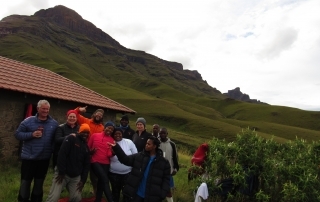 We believe that hiking the trails in the Drakensberg Mountains changes you, forever, and want to share this opportunity! 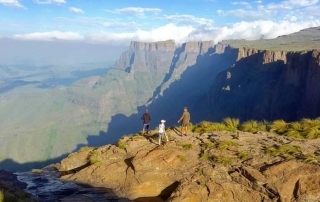 The spectacular views of a Drakensberg Hike, under the care of an expert mountain guide, surrounded by like-minded hiking companions makes your trip a very special and unique experience. 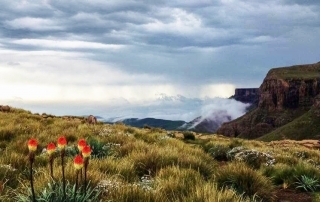 Don’t be fooled by the name though, Drakensberg Hiker also does guided hikes in the Namibian Naukluft and in the wilderness trails in Hluhluwe-Imfolozi Park! 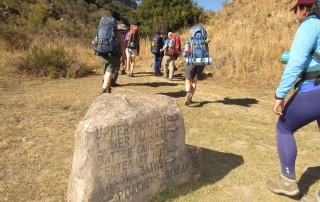 Our happy hikers and travellers recommend us to family, friends and colleagues. 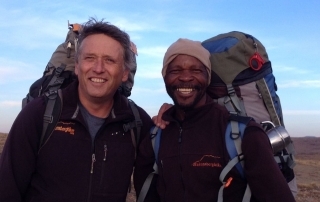 More importantly, they come back to do more hikes with us… What could make Drakensberg Hiker more special? 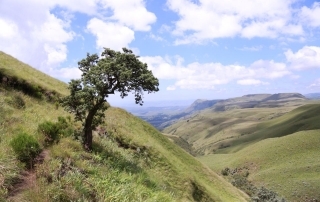 And most of it is in KwaZulu-Natal, our lovely home province and love to share South Africa with guests. 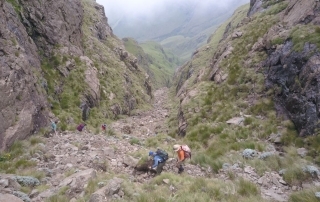 Therefore we invite you to add on to your hike in the Drakensberg with a wilderness trail or a 4×4 overland tour of Southern Africa, or up Sani Pass; the only road access to Lesotho from KwaZulu Natal and around the Mountain Kingdom of Lesotho. 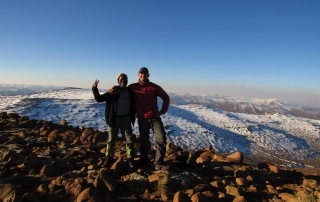 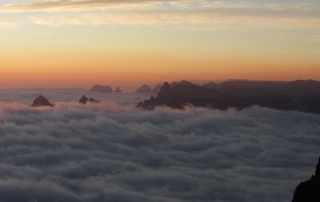 Interested in climbing the highest peaks in Southern Africa? 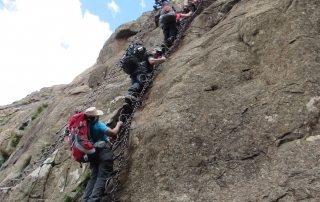 Come join us and tick climbing up some of the highest peaks in Southern Africa off your bucket list. 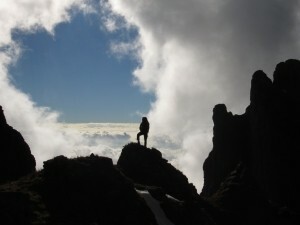 Contact us to arrange your Drakensberg Hiking opportunity, we promise you a special hiking and climbing adventure :-)! 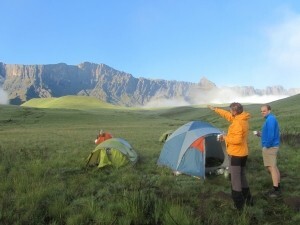 Here at Drakensberg Hiker we arrange partially or fully portered Guided Drakensberg hikes in KwaZulu-Natal, South Africa. 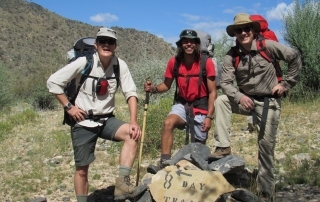 Best of all … we will do your catering and cook your meals for you! 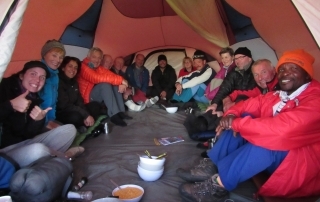 No more getting to the end of a hard day’s hiking and having to cook a meal alone in your tiny tent. 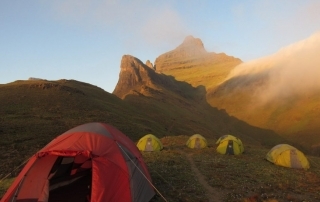 At the end of each day of your Drakensberg Hike, you can relax and socialize in our large “mess tent” with your fellow hikers and enjoy a meal cooked for you prior to turning in for a good night’s sleep! 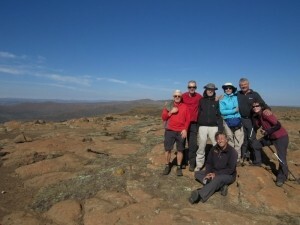 To see our exciting list of planned hikes in South Africa and overland tours, please have a look at our scheduled guided Hikes in the Drakensberg.